Flora is the name of an important street crossing. 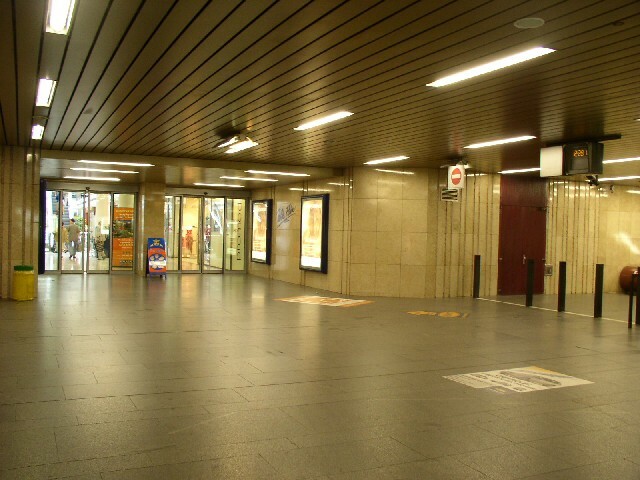 The only ticket hall of the station is located directly under this crossing, with several entrances including two on the tram stop next to the crossing. 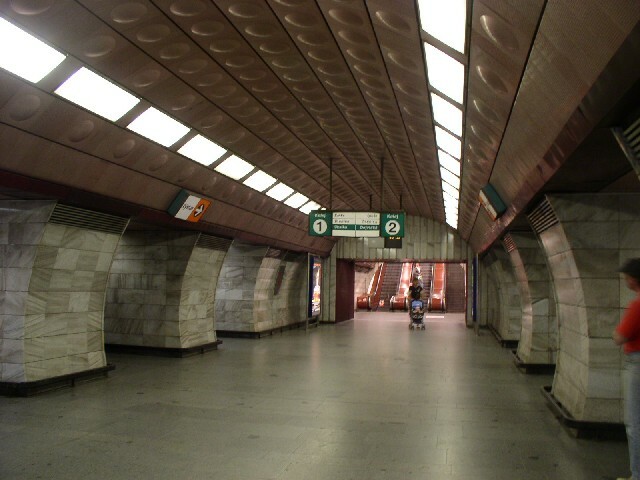 The station itself is of a quite common type of bored stations on lines A and B. The street crossing Flora, which is also a tram junction (though on this photo it looks rather like a curve only). 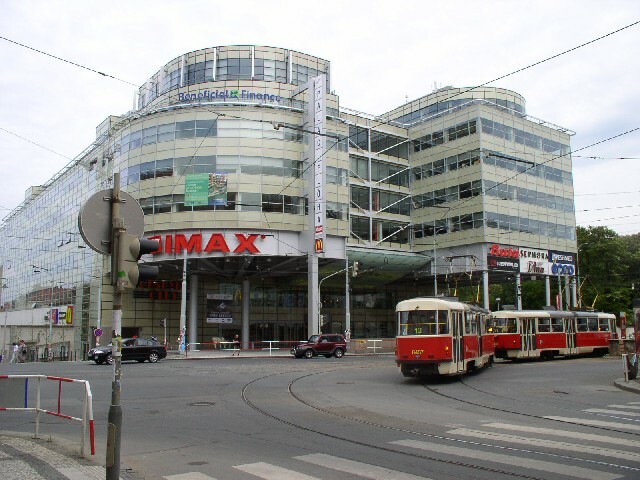 Recently a new shopping centre, including IMAX cinema, has been built there. Some people say it was an irresponsible deed, mainly because of the neighborhood; what do you think, what is that greenery on the right? A view of the crossing from the opposite direction. 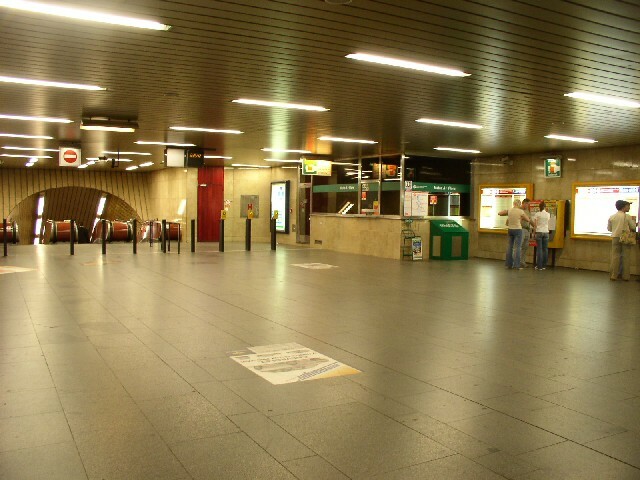 You can see here the tram stop Flora with two entrances into the ticket hall of metro station. 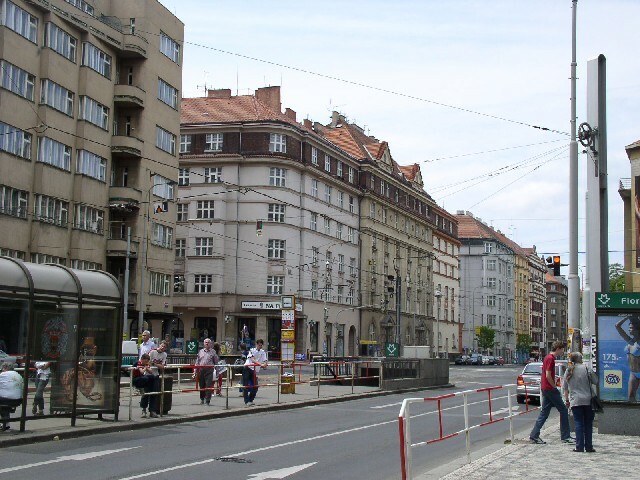 The main street goes westwards to Jiřího z Poděbrad. 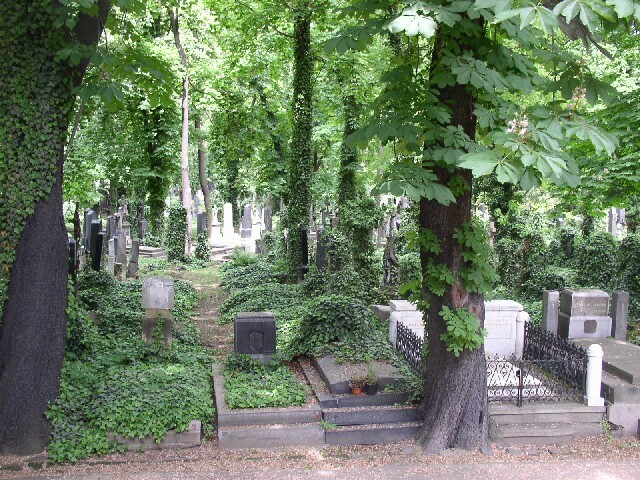 And here is an answer to the previous question: Next to the big shopping centre at Flora there is Prague's largest cemetery. Inside the ticket hall (or more precisely its outer part). 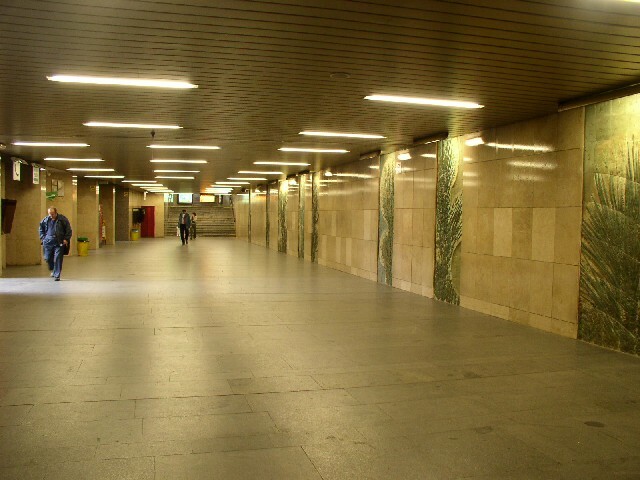 On the left there are the exits to the tram stop, on the right you can see a long wall with artworks. 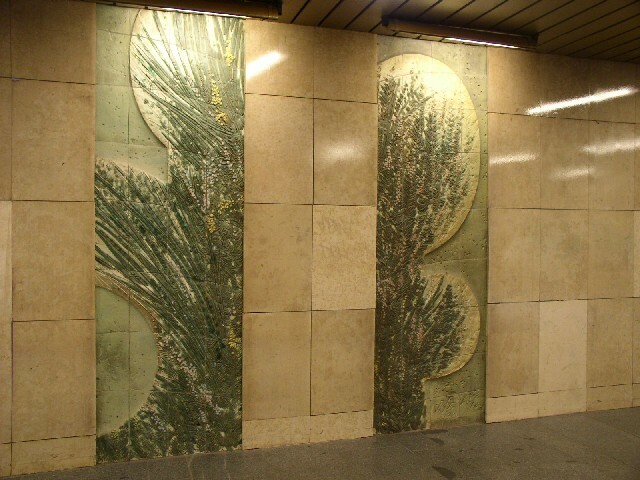 A detail of the artwork, depicting some vegetation. It is probably related to the name of the station - Flora. 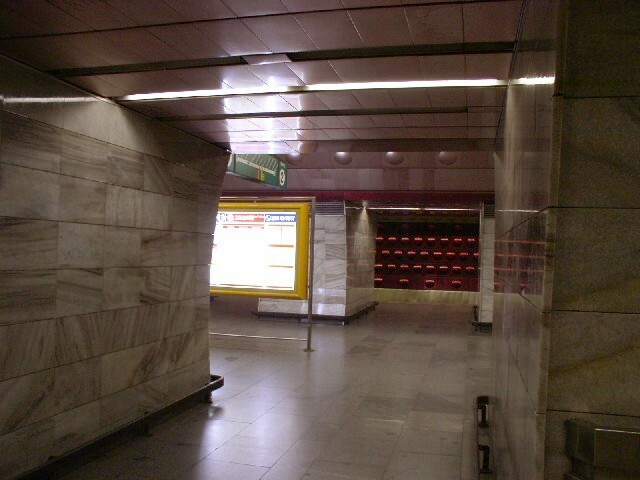 One of the exits from the ticket hall. 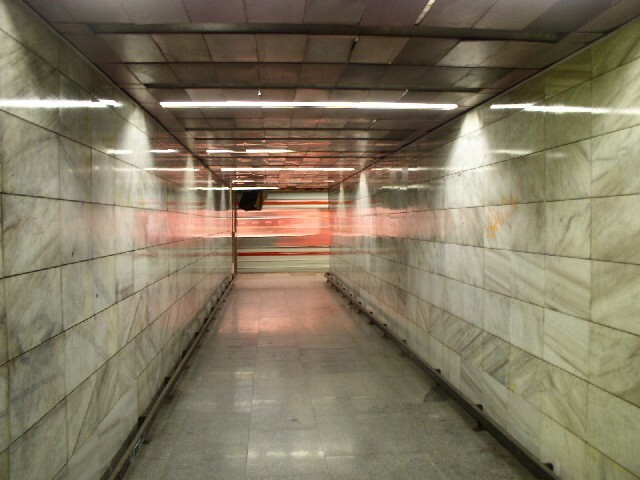 It is the one you can see above on the photoe of the ticket hall. 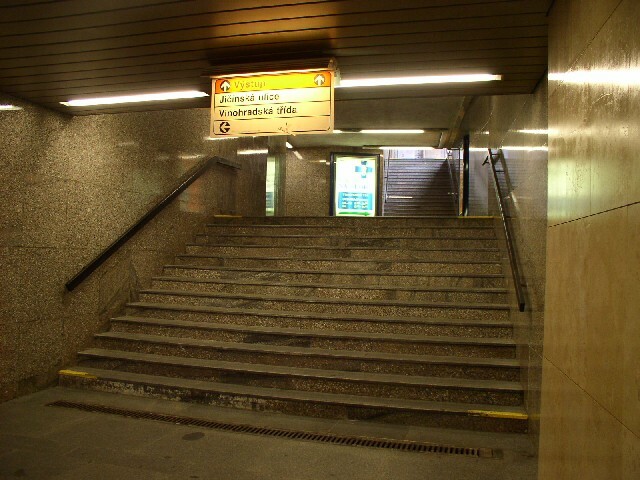 I took this photo to illustrate its interesting configuration - there is one broader stairway which divides then into two narrower - one of them continues straight and the other to the left. 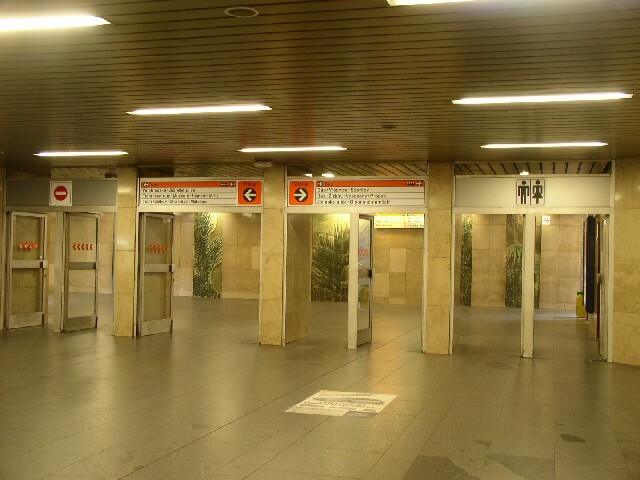 Doors connecting the inner and the outer part of the ticket hall. 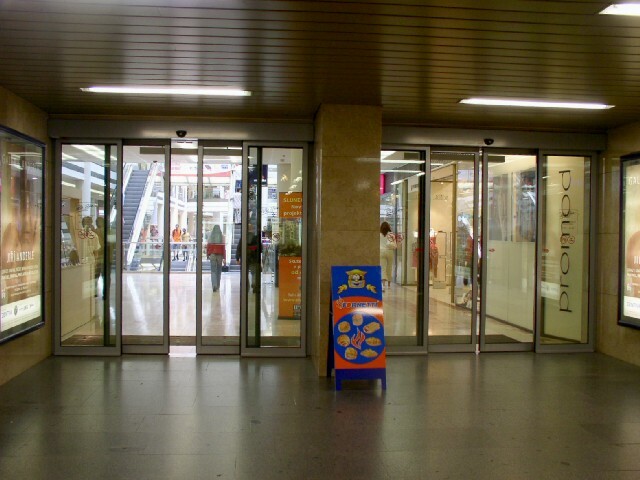 And these doors are leading from the inner part of the ticket hall to the Flora shoppig centre. A closer view of the same doors. 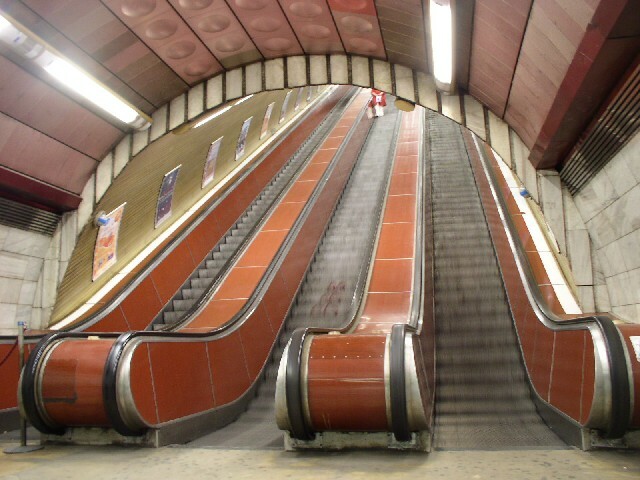 The lower end of the escalators. A view of the central aisle of the station, looking westward. 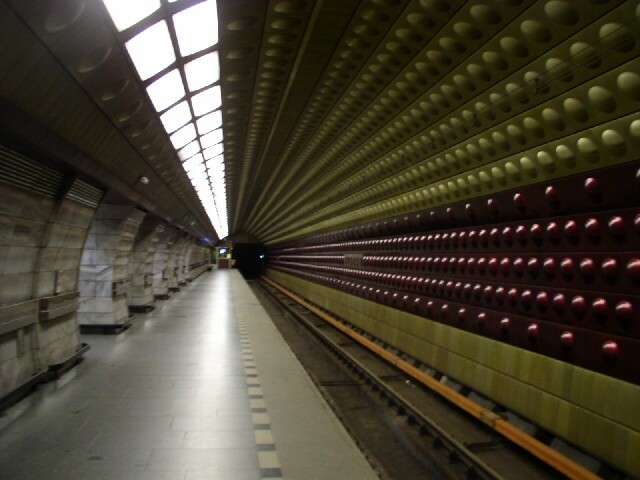 On either side there are passages to the platforms. A view from the eastbound platform through the passages and the central aisle to the westbound platform. A passageway connecting east ends of both platforms with an eastbound train passing. Note that this passage connects directly the platforms, because the central aisle is shorter than the platforms.